The Exact Level of Care You Need. The Freedom and Fun You Want. You Can Live Well Everyday. Remain independent and enjoy a worry-free lifestyle supported by a compassionate and competent staff ready to assist with daily activities. Health Care, also known as Skilled Nursing, is available on a short-term or long-term basis to residents who require the most assistance with their daily needs. Living Branches is committed to the most secure, safe, and solicitous care for residents with varying degrees of dementia or Alzheimer’s disease. Our trained staff is specifically educated in all aspects of dementia. 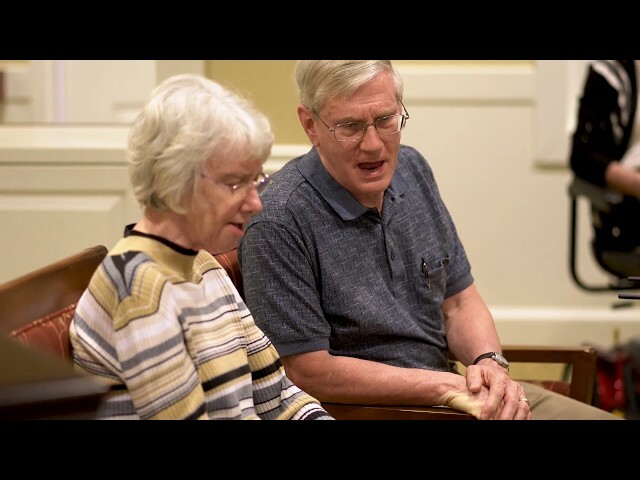 Through creative arts therapy, partnerships with Drexel University, and the implementation of Montessori methods, Living Branches is proactively caring for persons with Alzheimer's disease and other dementias. Learn More About the Program! Not sure where to start? Our FAQ covers the many questions we hear about Supportive Living services at the Living Branches communities. Still have questions? Call us. We’re here to help you feel assured and informed. Why should my loved one move to a retirement community? Social Connections – Our communities provide endless opportunities to develop close friendships and bonds – a benefit that becomes increasingly important as we age and face circumstances that might foster isolation. Share a meal together. Enjoy special occasions with friends. Activities and informal games are readily available to keep minds sharp and days full. Carefree Living – Find freedom from home maintenance and repair allows residents more time to do the things they love and to try something they’ve never done before. A Healthier Life – We don’t want to brag, but if you ask around, it’s no secret that our food is delicious – and it’s nutritious as well. As a result, our residents often notice improvements in their health, since they’re eating three great meals a day. Convenient access to healthcare and medical advice, as well as fitness activities, ensures that mind, body, and soul are nourished on a daily basis. Enhanced Relationships with Family – We hear constantly that making the move to a Living Branches community is a blessing to both residents and their families. Because children do not need to step into a caregiver role for their parent, they can enjoy “mom” as “mom” – or “dad” as “dad” – a precious gift for both families and residents. Peace of Mind – The continuum of care ensures that your loved one can remain independent for as long as possible. We offer the ability to move smoothly from one level of care to another, so residents can live life to the fullest, without worrying about evolving needs. How do I know which level of care is best for my loved one? Our ultimate goal is to keep residents independent as long as possible. Through the support of a compassionate and competent staff ready to assist with daily activities, Personal Care, previously known as Assisted Living, aims to reduce risk while respecting and promoting each resident’s independence. Residents in Personal Care are able to remain independent in the right size space, while receiving three meals a day, and assistance with medication or laundry as needed. Health Care, previously known as Skilled Nursing, is available on a short-term or long-term basis to residents who require the most assistance with their daily needs. Our Health Care staff assists with the activities of daily living, making every effort to enrich the lives of residents in a clean and comfortable environment. Nurses are present around the clock along with resident assistants who have undergone our own rigorous, state certified training. Memory Care is available for residents with Alzheimer’s or related dementias. These home-like environments offer the highest level of safety and security for residents. Specially-trained staff members offer around the clock care to support a daily routine that is reassuring and promotes social interaction. We encourage you to speak with one of our Sales Counselors, who can provide expert advice on the best path forward, based on your loved one’s unique needs. How do I initiate the conversation with my loved one about his or her care needs? Timing is everything. Choose a date, time, and atmosphere where and when the conversation can be relaxed. Share your concerns – and be prepared to listen. Being human and compassionate can go a long way. We strongly encourage that you emphasize your role as an advocate for your loved one. Explain that you are not there to make decisions for them, but rather, to provide support as he or she considers options that will allow him or her to live the fullest life possible. Try to end the conversation with an agreed-upon plan for next steps. We have plenty of more detailed resources for having this necessary conversation, and we are always available to chat through any questions or concerns you have before you initiate the discussion with your loved one. How does my loved one apply to Living Branches? After you complete the application, it is processed by the marketing team and then submitted to the Admission Committee for review. The committee considers every application on a case-by-case basis – considering factors like income, assets, long-term care insurance (if applicable), marital status, and the type of residence you prefer (e.g. studio vs. two-bedroom). What is the difference between Personal Care and Assisted Living? The terms Personal Care and Assisted Living are often used interchangeably; however, in 2011 the State of Pennsylvania instituted legislation that separated care communities into the two separate categories. Many persons are more familiar with the term Assisted Living because it has been in existence for longer than Personal Care, but also because Personal Care sounds more like a description and less like a type of community. So the question is what is the difference between a Personal Care and an Assisted Living community? Read more here.